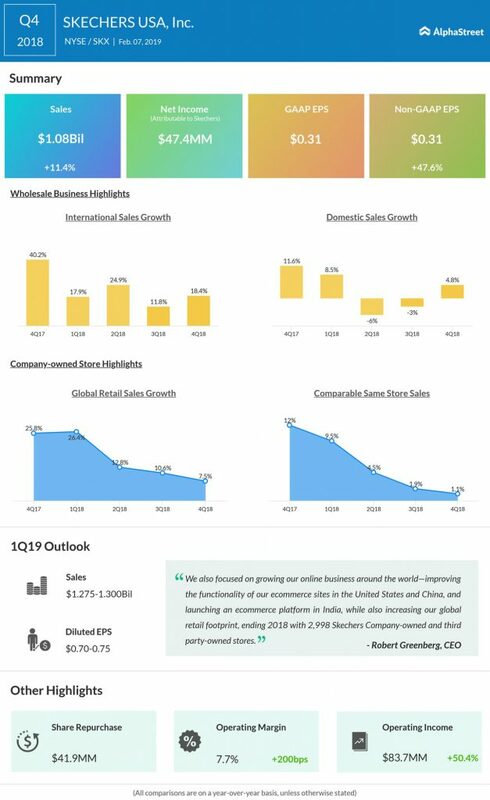 Shoemaker Skechers (SKX) Thursday reported fourth-quarter revenue of $1.08 billion, up 11.4% year-over-year, helped by an 18.4% increase in the international wholesale business. The top line narrowly missed analysts’ expectation of $1.1 billion. In Q4, comparable same-store sales in its retail stores, including e-commerce, rose 1.1%, including a 3% increase in its international stores and a modest 0.4% hike in the United States. Meanwhile, net income increased to 31 cents per share from 21 cents per share a year ago, beating analysts projection of 23 cents per share. On a reported basis, the company swung to a profit of 31 cents per share, from a loss of 43 cents per share in the same quarter last year. SKX shares jumped 13% during aftermarket trading. The stock has declined by about 33% in the past 12 months. 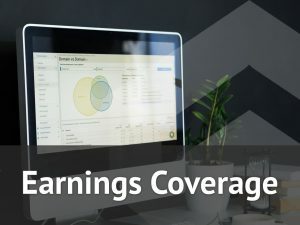 For the first quarter of 2019, the Manhattan Beach, California-based firm expects sales in the range of $1.275 billion to $1.300 billion and diluted EPS between $0.70 and $0.75.